When it comes to holiday shopping, it feels like there’s never enough hours to get it all done in the midst of the holiday hustle. Countless stores, endless window displays, lines galore, and still, you have more to get. Why not give yourself a break and finish off that list in one shot? 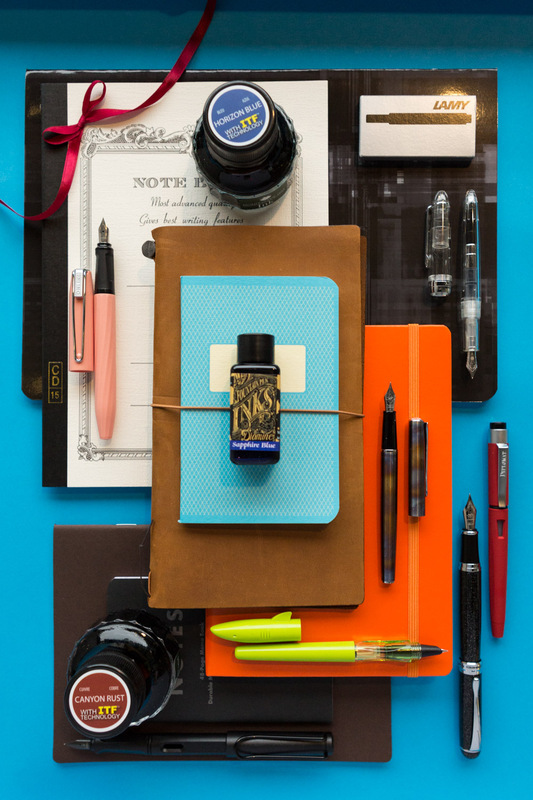 Check out our list of 10 great fountain pens and accessories to give this holiday season. 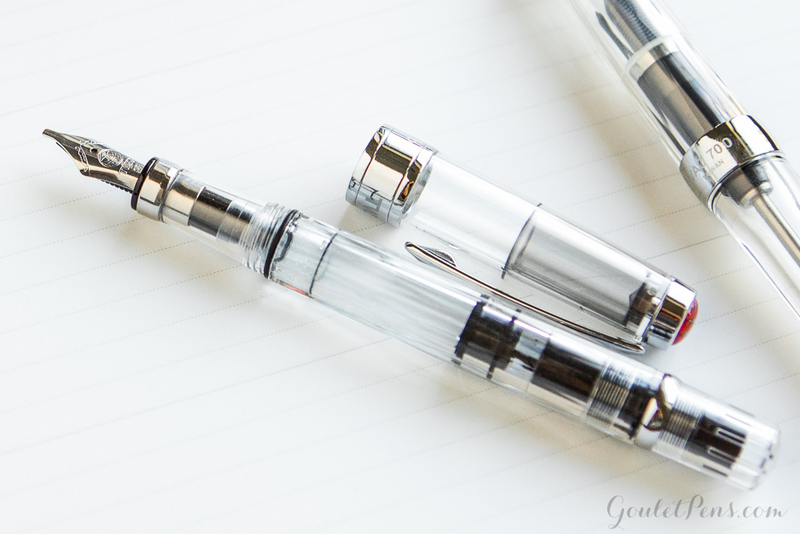 This clear demonstrator is a favorite in many pen cases. It features an easy to operate piston mechanism and an impressive 1.98ml ink capacity for effortless, long lasting writing. This pen is the perfect gift for the hands on type, the ones who like to take things apart and understand them. The included wrench makes disassembly a breeze. Pick up a TWSBI Diamond 580 in EF, F, M, B, or 1.1mm Stub for $50. 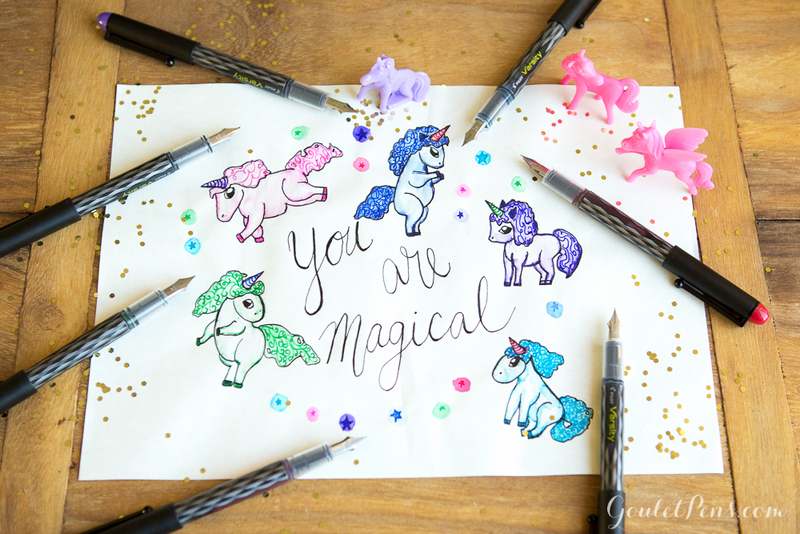 These are the ultimate grab and go pens. 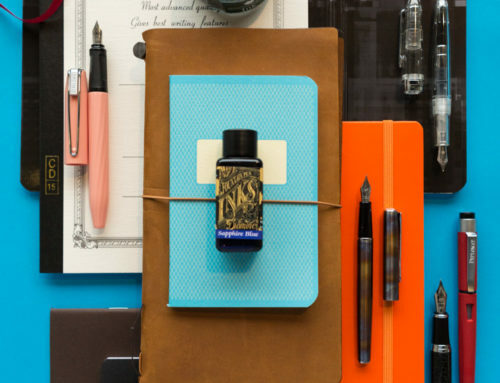 The Pilot Varsity set features 7 inexpensive fountain pens that pack a serious punch with their durability and value. These disposable pens can be thrown in a bag or purse and taken anywhere. Grab this great Pilot Varsity 7 pack of pens for $21 and give your loved one a different pen for every day of the week! Writing is so much more fun when your pen is a true work of art. 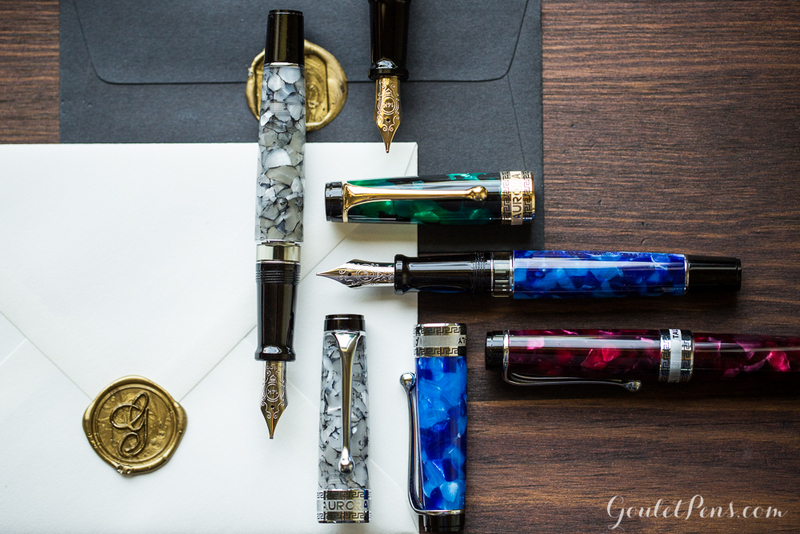 The gorgeous Van Gogh series of fountain pens from Visconti feature unique mixed resin bodies, crafted to mimic the colors of some of the artist’s most famous works. 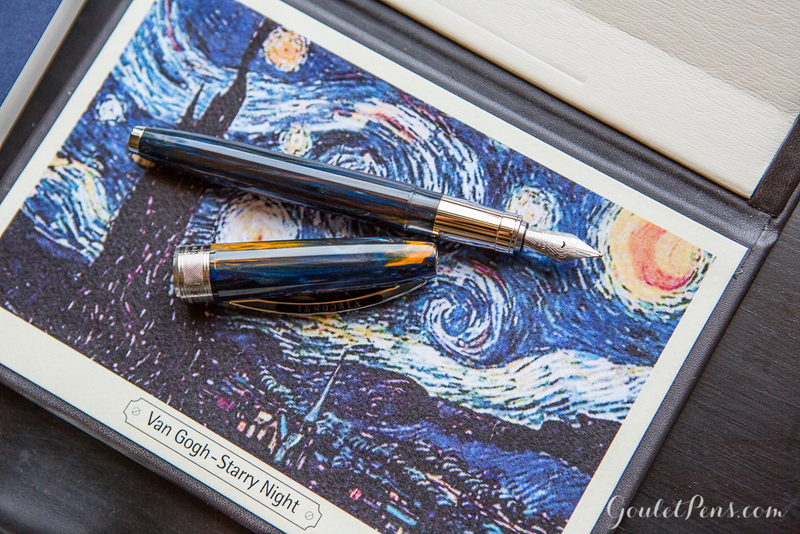 A Visconti Van Gogh, like the Starry Night featured above, is the perfect present. It comes already packaged beautifully in its gift boxes, complete with a canvas replica of the painting for which it is named. 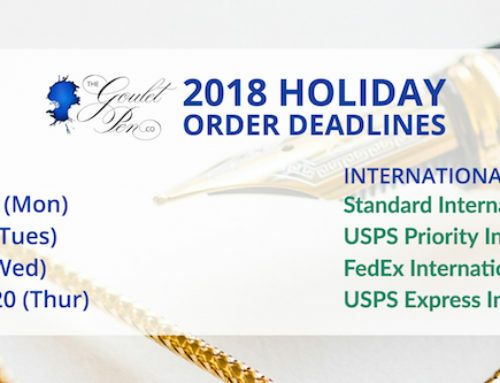 The Visconti Van Gogh is listed for $289 MSRP, but be sure to log into your GouletPens.com account to see our best price! 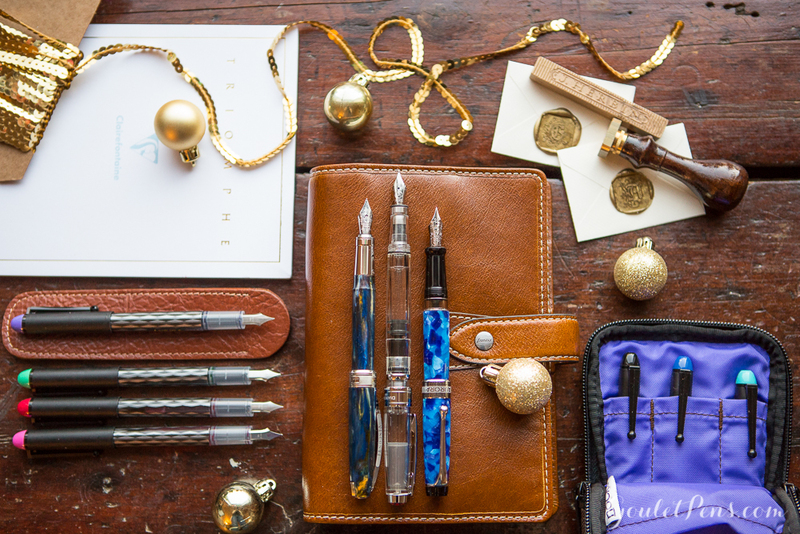 Give the gift of a pen worth “marble”ing at! The body of the Optima is fashioned from marbled Auroloide, an antique celluloide material, and is absolutely breathtaking in its vintage beauty. The timeless pen is completed by a 14 kt. gold nib, ebonite feed, and elegant silver or gold accents. Sweep up an Aurora Optima for $445.50. Getting more organized is often a top priority on many lists of New Year’s resolutions. Give your friend or family member a stylish headstart by gifting them a Filofax organizer. 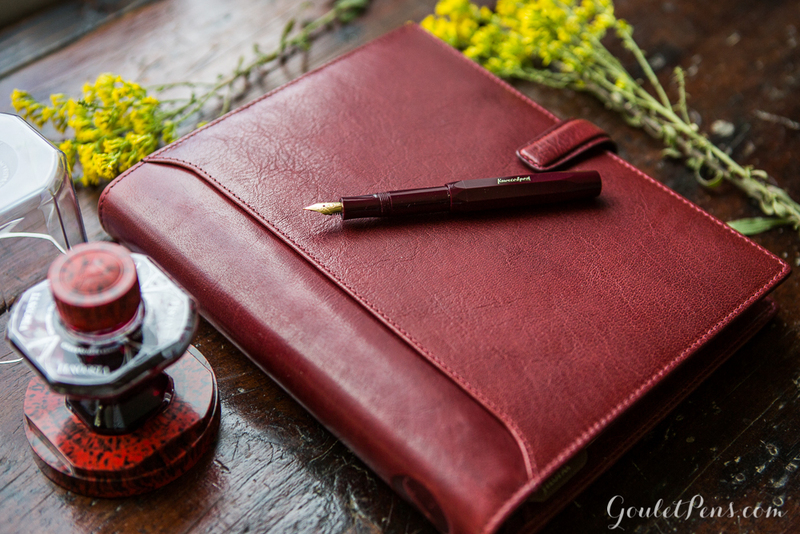 Available in Personal and A5 sizes and a variety of colors, styles, and materials, there is sure to be the right planner for any preference in this line. Chock full of helpful inserts, like a 12-month planner and a variety of paper samples, they’ll have everything they need to stay on schedule and on top of their tasks. Filofax Organizers range in price from $32.40 up to $165, depending on model and size. 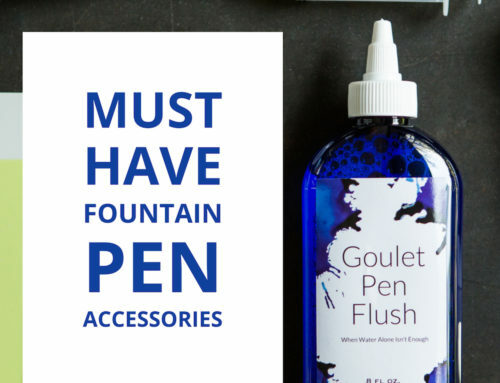 What do you get the fountain pen fan that has everything? A case to keep everything in! 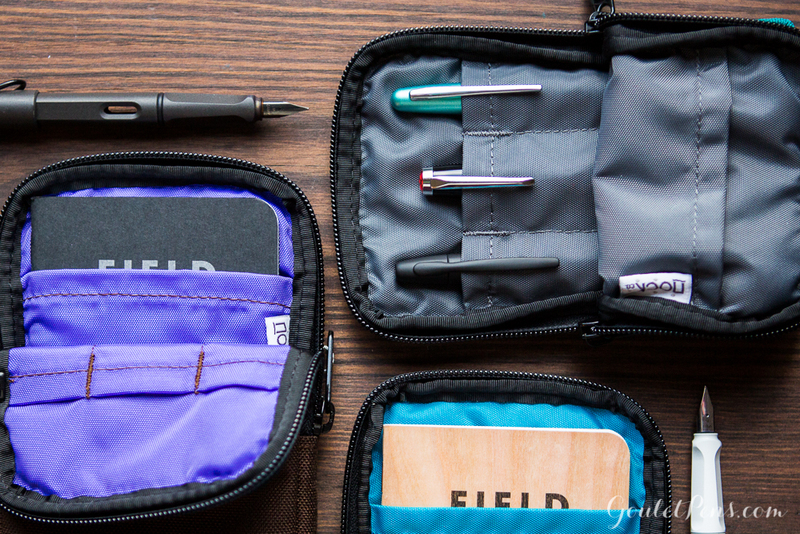 The Nock Co. pen cases offer a secure place to store and carry precious fountain pens free from fear of damage. The Nock Co. Sinclair, shown above, features a pocket for a small notebook, in addition to three pen slots, for $40. They’re sure to put their seal of approval on this gift! 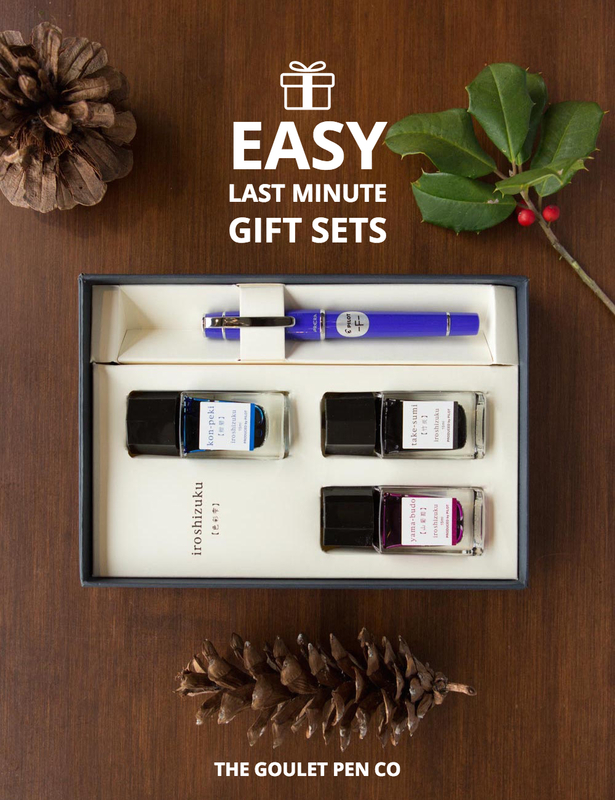 The J. Herbin Sealing Wax Set is the perfect gift for the person in your life that has a flair all their own. Complete with 4 stick of J. Herbin supple sealing wax, a brass seal, and a wooden handle, their letters will be sent in style. Snag a set for $37.50. 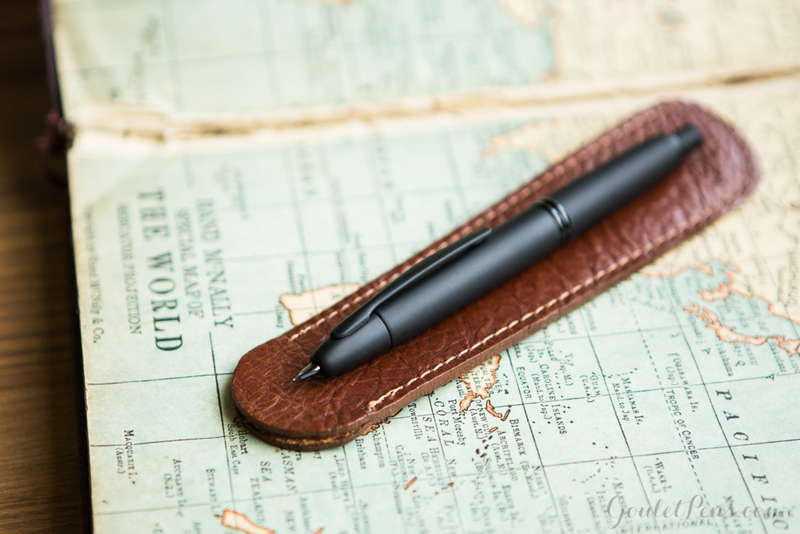 Protect your favorite pen from scratches and imperfections with this snug leather pen slip. This nifty single pen case from Aston Leather is a secure place to slide your treasured pen to save it from disasters of everyday life. 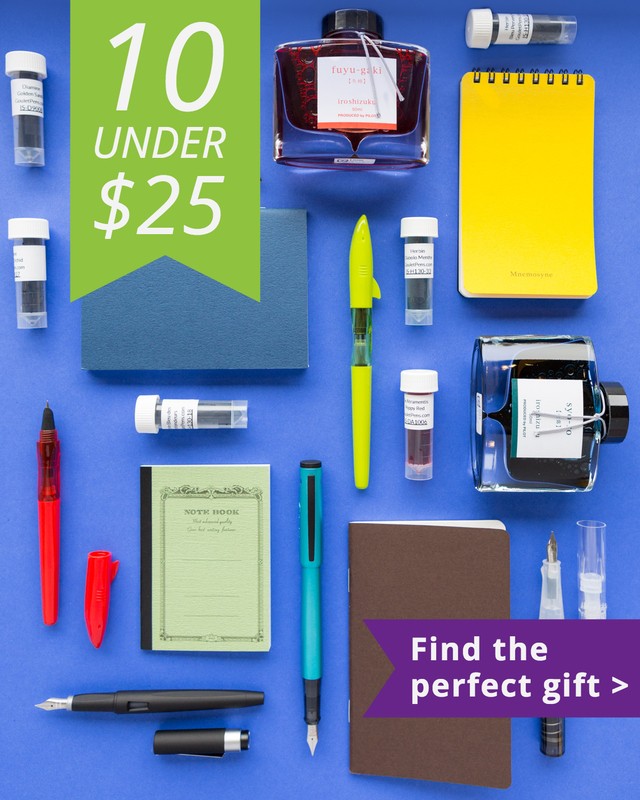 Slip one into your cart today, your pens will thank you. The Aston Leather Pen Slip is available in Black or Tan for $12. 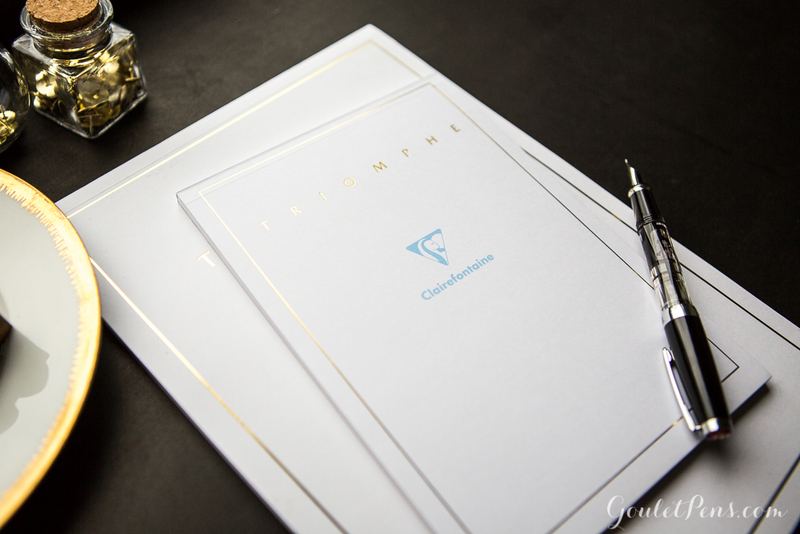 Win the war against non-fountain pen friendly paper with the Clairefontaine Triomphe correspondence set. 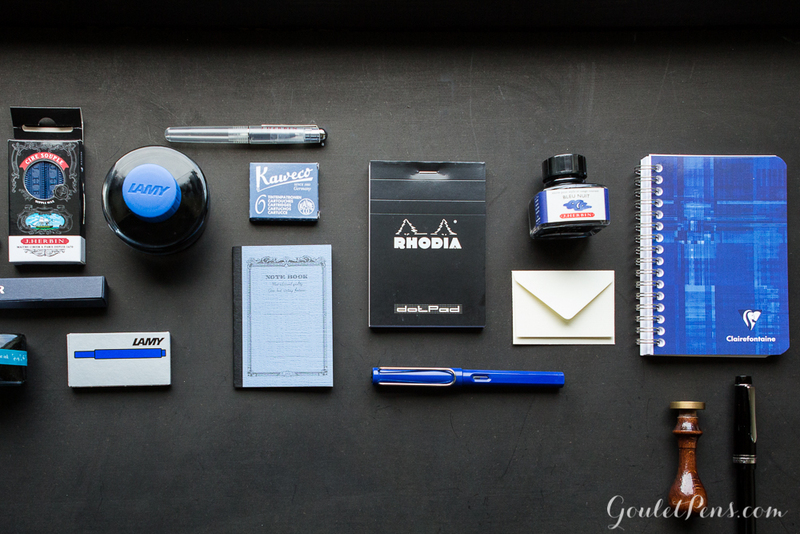 This set of paper and envelopes not only looks good, it’s also a favorite paper choice for many fountain pen enthusiasts. 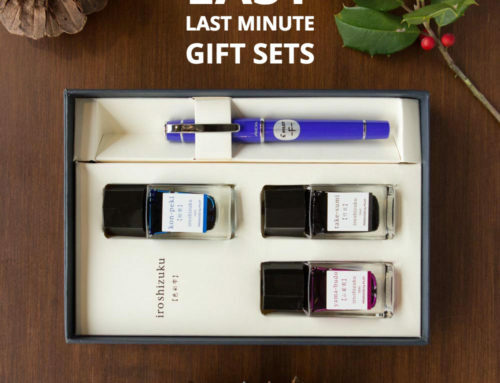 This classic set features one 50 sheet tablet of A5 paper and 2 packages of 25 envelopes. 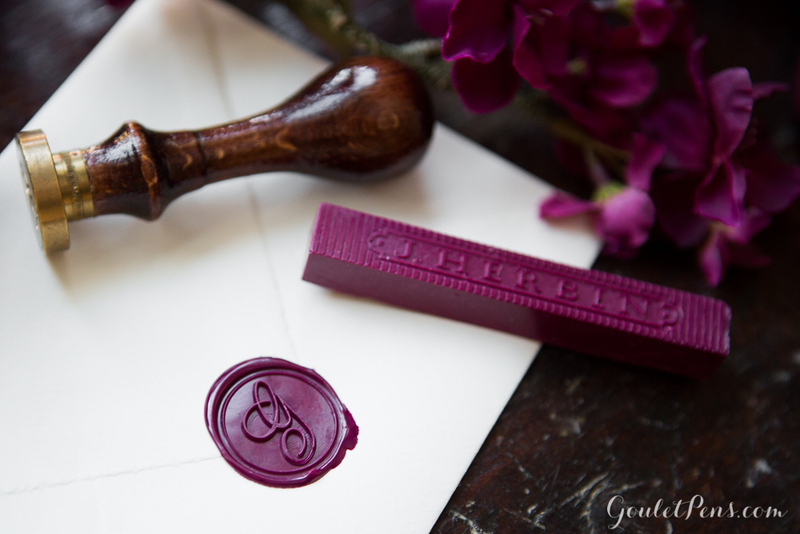 Don’t your loved ones deserve the luxury of such well-dressed letters? 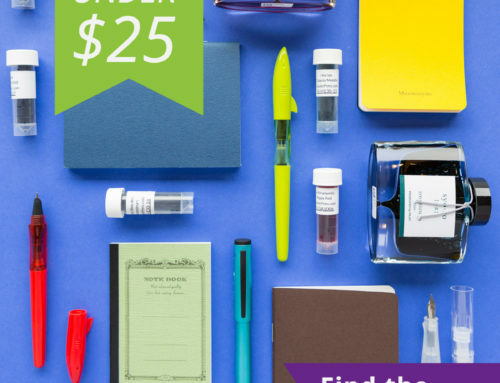 Step up the stationery game for $13.50. Looking for more gift inspiration? Check out our other gift guides! Our Analog Gifts for the Tech Savvy includes great gifts for the minimalist in your life. 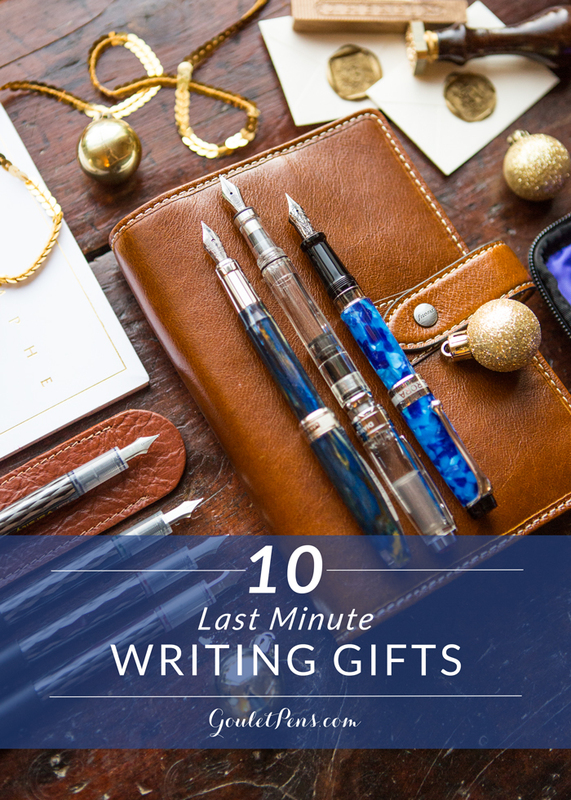 You can also find our collection of 10 Great Gifts for Unique Writing Styles and 14 Writing Gifts Under $40. 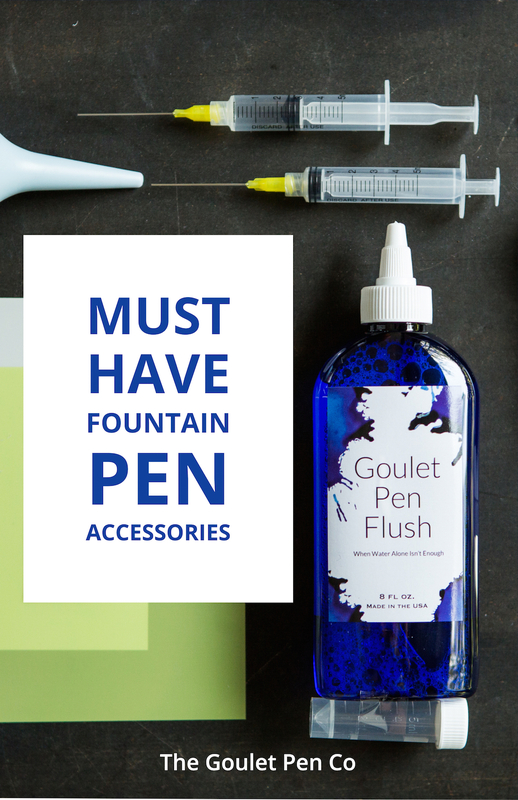 Are you gifting any fountain pens or accessories to loved ones this holiday season?